After five seasons and 100 episodes, it’s time to say goodbye to Fringe, FOX’s beloved but low-rated sci-fi TV series. The audience may be small but it’s certainly a devoted one. The series finale has inspired a lot of great online coverage about the series and the last episode. Rather than recreate the wheel, I’ve tried to find the best and aggregate it below. TV Guide: An oral history of Fringe with John Noble (Dr. Walter Bishop), Joshua Jackson (Peter Bishop), Anna Torv (Olivia Dunham), Jasika Nicole (Astrid Farnsworth), Lance Reddick (Phillip Broyles), Blair Brown (Nina Sharp), Seth Gabel (Lincoln Lee), series co-creator J.J. Abrams, executive producers J.H Wyman and Bryan Burk, Warner Bros. President Peter Roth and Fox’s Chairman of Entertainment Kevin Reilly. EW: A review of 19 of the “most fascinating, trippy, and game-changing installments” of Fringe. EW: 13 behind-the-scenes series finale images that the magazine first shared back in December. Vulture: Seven reasons to miss the unique sci-fi series. Wired: Why the end of Fringe marks the decline of science fiction programming on network television. 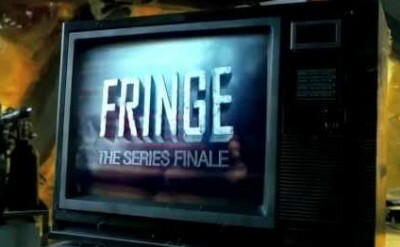 LA Times: A salute to Fringe via 60 images and a discussion of 10 outstanding episodes. Blastr: Executive producer and showrunner J.H. Wyman looks back at five years of Fringe. HuffPostTV: Wyman discusses Walter’s potential sacrifice, September’s journey and the challenges of ending the series. CBM: The cast and producers talk about the show’s greatest achievements. Blastr: Joshua Jackson discusses Peter’s evolution and his role in the series finale. EW: Michael Cerveris talks about the return of September and the surprise and heartbreak of the last episode. GMMR: Lance Reddick discusses Broyle’s return and discusses his final days on set. GMMR: Anna Torv on what she wishes she had gotten to do on Fringe. GMMR: John Noble, Joshua Jackson, Jasika Nicole, and Lance Reddick share their reactions after reading the series finale. What do you think? While reading some of the series finale coverage and retrospectives, did you learn any new great details about the show? Did anything really pop out at you about the series?